I love this time of the year! It’s GARAGE SALES gaaaalore!! There is nothing better than finding something you need for only a buck, right?!! I came across this fine German crystal for only a buck each! 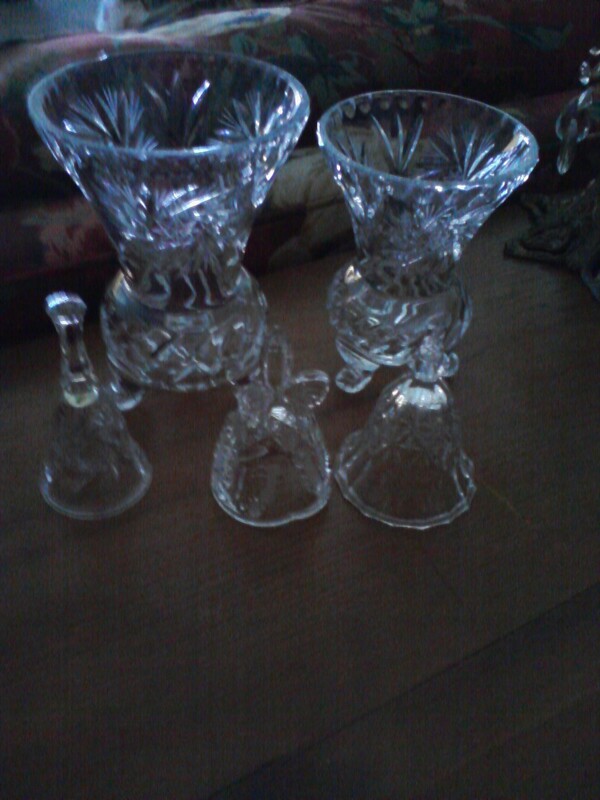 I looked it up on the internet and the vases sell on e-bay for about $69 and the bells were about $17 each. When I saw this sewing shelve I couldn’t pass it up….I got it for a whopping $3! I found this cute shelve for only a buck! This flower container was only .50 cents and the flowers were $1.50! 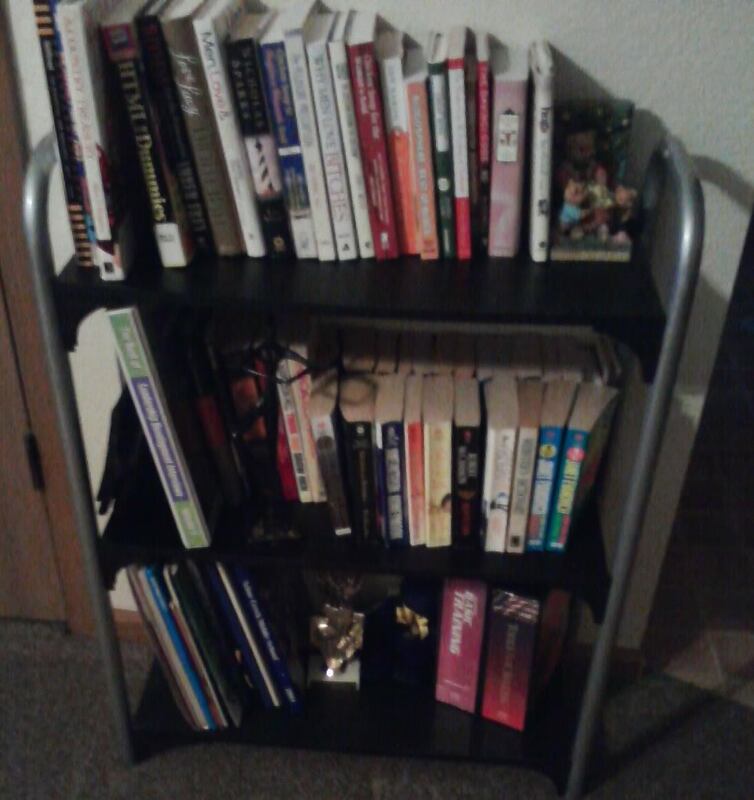 This bookcase I needed very badly and found it for only $5!! 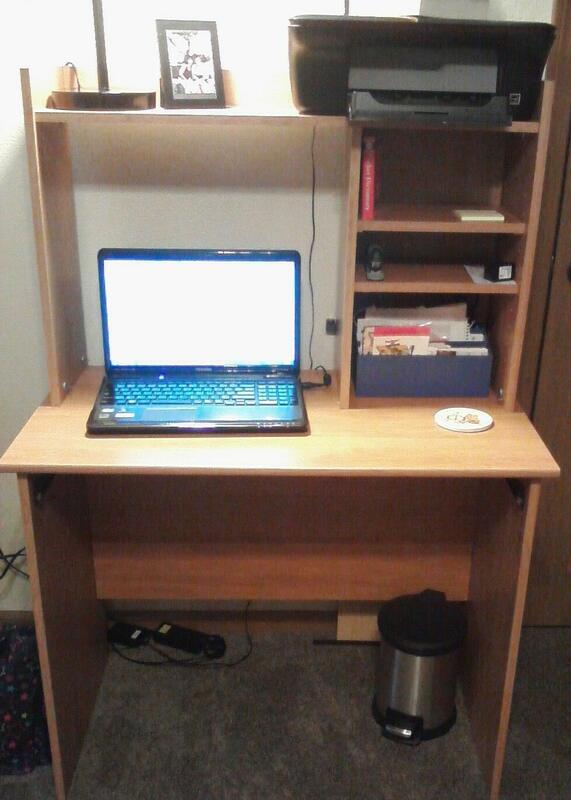 I also found this desk that I needed for only $5 too, what a steal! !